Hidden away behind the twisting, ancient hedgerow-lined country lanes of Hampshire lies a secret garden we revisited this weekend where water lilies emerge from box parterres, fancy chickens dine from willow patterned porcelain and where Alice plays chequers with the Queen of hearts. 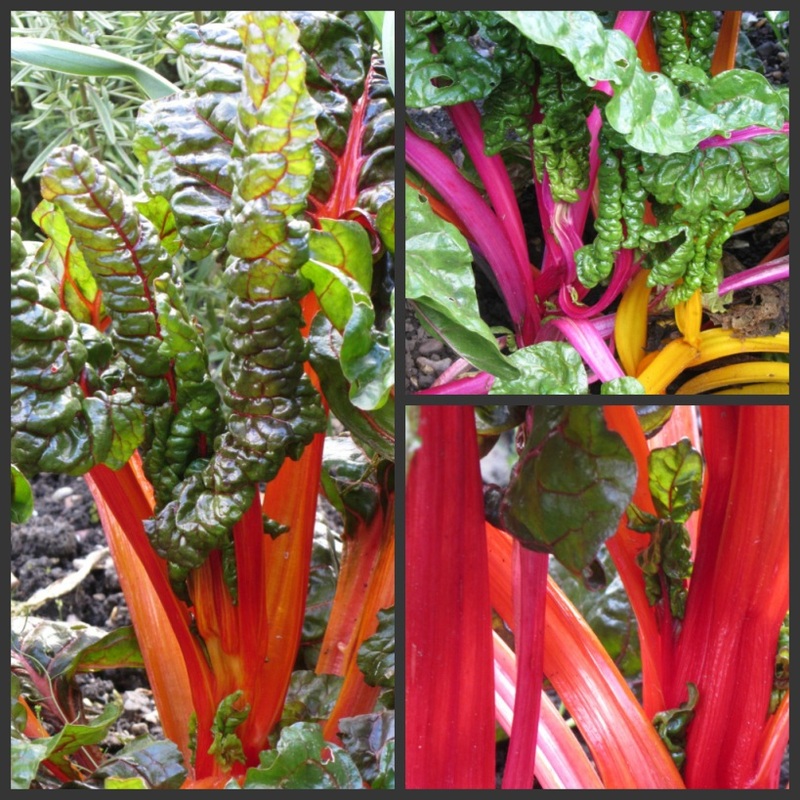 These are just some of the botanical delights that await at West Green House and Garden. 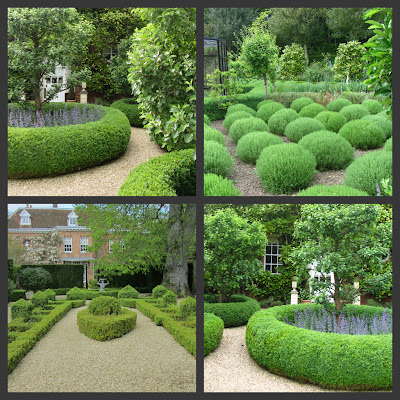 A charming 18th century baroque Manor house which was once home to the Duchess of Wellington who lived there with her friend Yvonne Fitzroy, now owned by garden visionary Marylyn Abbott who has revived and perfected the garden with her enchanting and theatrical designs. Four of us arrived for our second visit this year and enjoyed a civilised picnic in the orchard outside the main gate before heading inside for the afternoon. 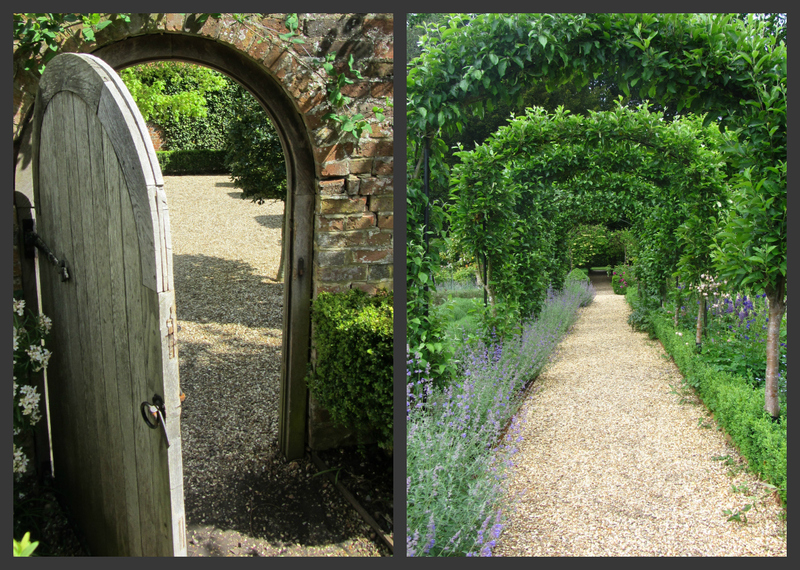 The walled garden is entered through a wisteria clad doorway that beckons you to duck and sweep its elongated fragrant blooms aside in a secret garden manner to enter. 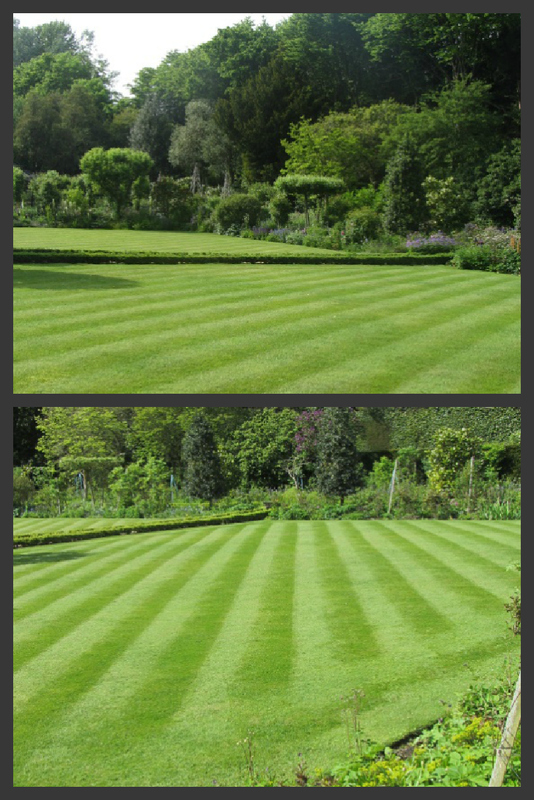 The first part of the garden is laid out with immaculate diagonally striped lawns surrounded by fluffy herbaceous borders and slender inviting paths. Beyond the lawns a beautifully planted potager is found. Colourful obelisks stand to attention, waiting patiently to be clothed in the tendrils and twining stems of peas and beans alongside towers of rhubarb flowers soaring skywards from their voluminous green gowns. Topiary forms an integral part of the designs throughout West Green's gardens. 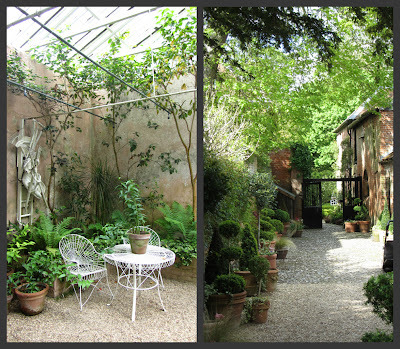 The two inner gardens are both enclosed by eighteenth-century walls and are devoted to parterres. The first is a whimsical 'Alice Garden' which features Wonderland inspired Buxus and Hedera topiary embroidered with white and red roses. The second is the 'Chicken Garden' which houses a fanciful collection of plucky bantams and chickens in a willow patterned pagoda that race to greet you in the hope of a tasty titbit or just sheer nosiness. Here the parterres hide a patchwork of water lily tanks from which unexpected graceful flowers magically appear. The gardens are cleverly designed to lead you of in all manner of directions from a fragrant border billowing with roses to Lutyens benches in secluded microgardens, from a fading orangery to a mellow woodland garden traversed by elegant bridges, the eye is constantly invited and entertained. The north westerly path entices you to step through the iconic moon gate, framed with delicate silver ribbons of moving water which rush down steps to guide you to a magical Nymphaeum garden. Here the more formal planting style of Marylyn Abbott sits beneath a majestic Quinlan Terry fountain inspired by the Santa Maria della Scala in Trastevere, Rome. West Green House is a great place for children to explore. Upon entering 'The Paradise Garden' we overheard the adventures of two young seafaring children who welcomed each other in pirates voices to "The Treasure Island" before racing off brandishing invisible cutlasses. 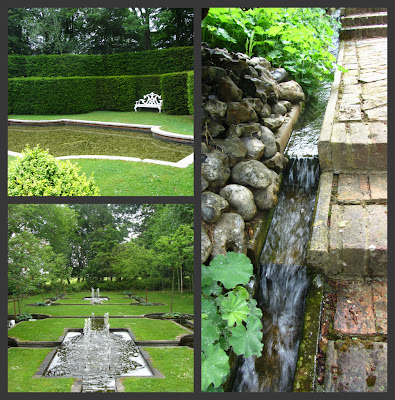 Just outside the walled garden sits a tranquil medieval lake that reflects the sky and encourages relaxation. The only distractions here were wildfowl taking shortcuts to an island and the amorous entwining of Koi carp at the water's edge. I have no idea why West Green House Garden had escaped my radar until this year it has already become a firm favourite. Marylyn Abbott's clever design has a formal yet friendly familiarity that we shall enjoy returning to rediscover once more. Love all the garden gates!! and the cat napping!! What a wonderful and lovely garden! I thought you'd like it Markus. Dear Paul - what a magical place, I just loved every single picture. A quintessential English garden. I admire every single one of your photos, so beautifully photographed and presented. I cannot wait for my lawn to be like that. Our lawn has been so awful with weeds and moss that we are having intensive treatment from the Green Thumb people, and they have promised me a lawn like Wimbledon!!! Now that is a luxury Rosemary. I would love a tennis lawn rather than the bumpy lumpy patch we have. I hope to see a wimbledon themed post on your lawn when its made over! This is a wonderful garden and your description even better. As I read it I felt as if I was pushing aside the wisteria, walking along the narrow paths and taking in the beauty alongside you and your companions. Dear Elizabeth, the wisteria trick is a smart move as it really does add an element of an undiscovered secret realm you are entering. 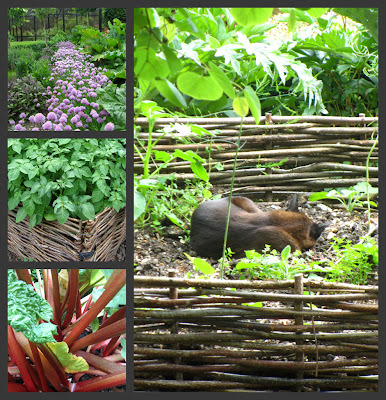 You made some magnificent photo's of the garden. Your description makes it sound even better! 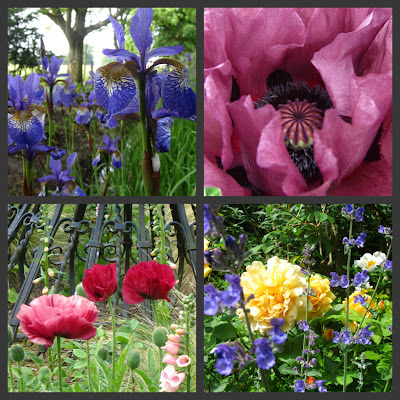 I will keep West Green House gardens in mind for when we visit your country in July. It looks like there were lots of flowers in bloom. The irises and poppies look beautiful! We were hoping on our second visit to see the Peonies in their peak which we missed by a week but the rest of the garden made up for it in droves. I am sure you will love it Madelief, take a picnic! This is a garden I know I would like, something new in ever way! 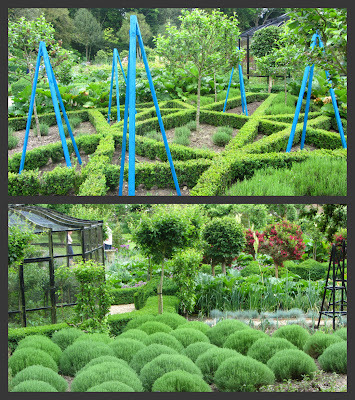 Although a tad far to visit Paul, you may be interested in Marylyn Abbott's other garden at Kennerton Green in Australia. Glad you enjoyed them Pamela. If only I was as sharp a photographer as you. Absolutely divine!! A garden I will definitely visit. I like discovering hidden gems. Love everything: from the perfect topiaries to the fancy chix!! Beautiful photos, Paul. You did a marvelous job capturing the gardens. 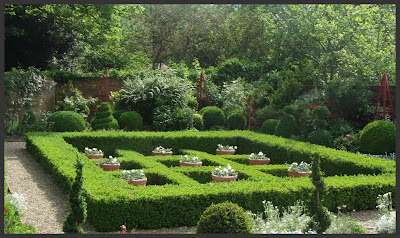 This remarkable and beautifully illustrated post serves to highlight a wonderful and inspirational garden which, under the stewardship of Marilyn Abbot, has been transformed into what you so accurately describe here today. It is, in our view, a garden which is deserving of greater recognition than it perhaps receives, a jewel to be found nestling in the Hampshire countryside. We can readily recall the delight with which we first discovered West Green House, possibly now some twenty years ago, and have a lasting memory of that splendid chicken house and those very superior hens pecking corn from willow pattern dishes. I agree wholeheartedly, it is a garden that deserves much more recognition. The magical moment for us was parting those wisteria flowers at the entrance to the walled garden when one of our party actually gasped in delight! Beautiful gardens for a top house. It is indeed a top house Bob. The rear of which was smothered in beautiful roses whilst the front had the most wonderful box topiary surrounding fruit trees. All very inspirational! Hi Vicki. I have heard that Greys Court is lovely, its on the list now! I am sure you would love West Green House Garden and it has the added bonus for you of being designed by a fellow Australian! Such beautiful images! I love the hanging wisteria! Its not very often you get the chance to greet wisteria blooms face on as they usually are at a higher level, the scent from this was gorgeous as we breezed by them. Such a beautiful and dreamy estate! Love the gardens too. Dreamy is an excellent way to describe Marylyn Abbott's designs Pamela. Thanks for stopping by. A.M.A.Z.I.N.G. I must have some wisteria! Thanks for you happy comments..they make my day. Really! The scent from the wisteria is wonderful. I can think of just the turret to grow it up! Your photos are book-worthy. I only wish they were larger so we could better see some of the smaller details. Was that I fox or a dog curled up and asleep? I love the geometric series of ponds and trees. The bright blue plant supports are fun too. I am off to look through again. What beautiful photos of an exquisite garden. Thank you for taking us on this lovely tour. It is absolutely enchanting. A cat? I thought it was a dog too! 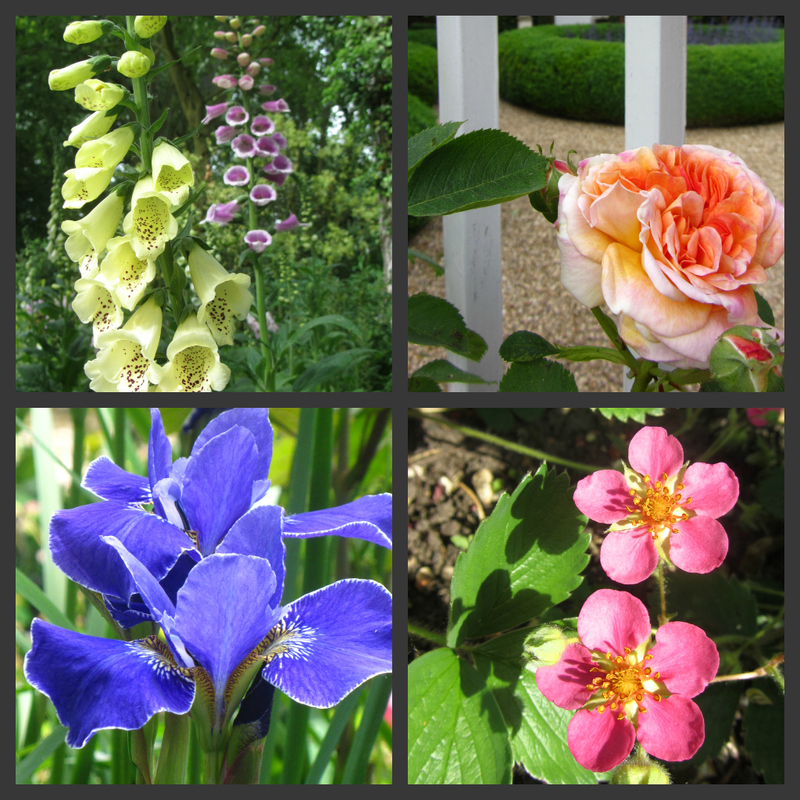 Last week I spent a day at the Huntington estate and gardens here in California. It truly is a magical way to spend a day. Thank you again and have a lovely weekend. What a day you must have had. I missed the opportunity to see the Huntington Gardens a couple of years ago due to lack of time whilst in CA, it's still on the list alongside Lotusland we'll get there soon hopefully. Well, that was just a total pleasure. Thank you for the adventure...photos as always, lovely! I so enjoy your writing style. Glad you enjoyed it as much as we did Brenda. 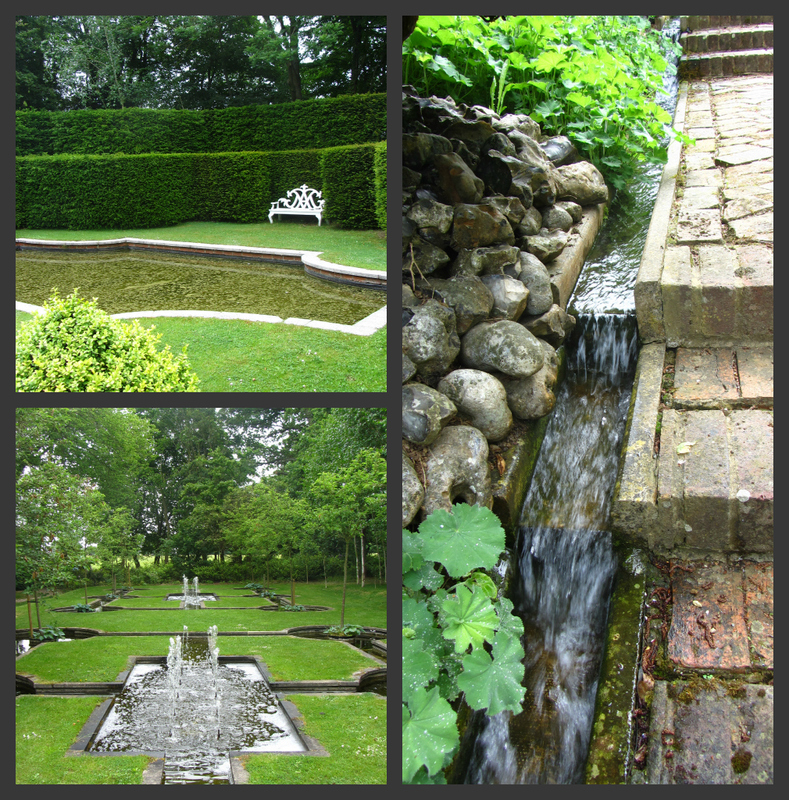 Paul, I can see why West Green House Garden was voted one of the top 50 gardens in England. I truly is magical. 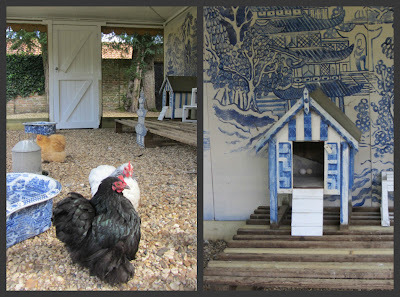 Love the chickens and their blue willow style little house. I can even see a blue and white dish for water, maybe? Thanks so much for sharing your visit there. Your photos are wonderful. Thanks for dropping by Babs. It is indeed a very magical place and has been quite different on both occasions that we visited this year. 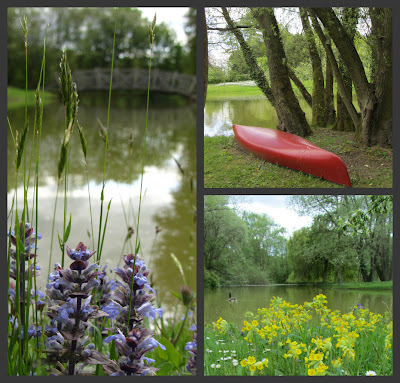 We are looking forward to another vist later the year whilst the weather is still good for picniking. to think that I almost missed this beautiful post by being occupied with travels and business! That garden is a marvel (already jotted down into my little pink book - your tipps are always wonderful!). So much to see that I will read it again (and again) tomorrow - this night I might dream of it! Thank you! 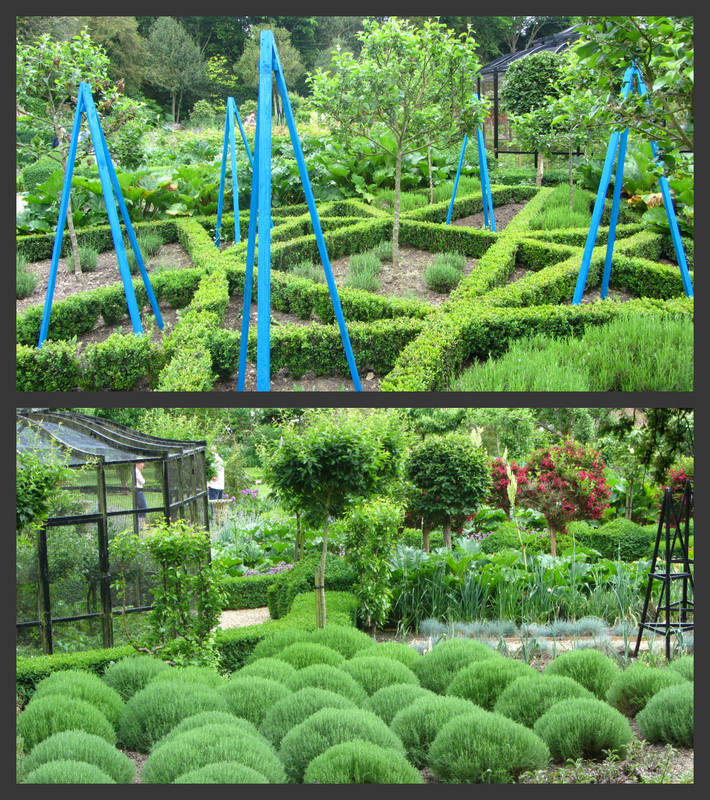 I am sure you will enjoy visiting West Green House Garden. Leave yourself lots of time as there is much to see. I consider myself more a guinea pig for tasting weeds and an amatuer cook really but Cleavers (Galium aparine) are edible but must not be confused with the more fragrant Sweet Woodruff (Galium Odoratum)used in Germany to flavour some foods and to make the delicious sounding May wine which I would love to know more about. I am not aware of Sweet Woodruff's common usage in the UK although I would be very cautious, Sweet woodruff can have some nasty side effects if it is used incorrectly. I'm sure you'll have a great time when you visit GL, we had a wonderful picnic on this occasion but they also serve a super afternoon tea which you can enjoy in the courtyard. I'd want to walk every inch of the grounds. Thank you for this amazing tour-- it's been so lovely!! I'd love to see it in winter too!! What an incredibly high maintenance place that looks so naturally gorgeous! I definitely love English style... And those manicured lawns : stunning. 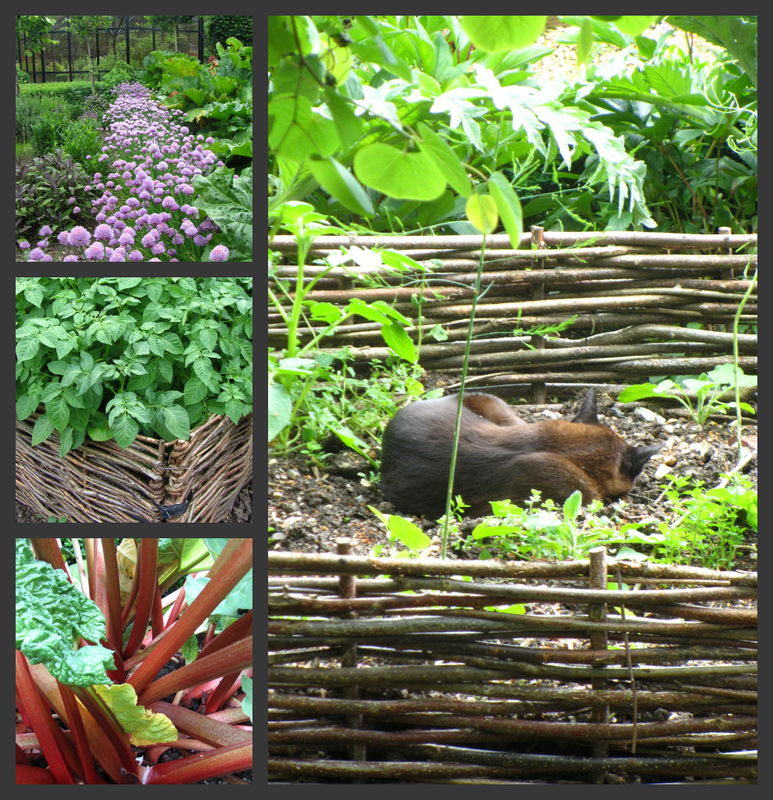 beautiful pictures of a great garden. Oh wow Paul...I've got to go there. Gorgeous post....and the llamas were soooooo cute! Your blog is so wonderful...I asked you a while ago if you have twitter or fb to follow with?? Very interresting and good pictures..... your blog is very nice. What a GORGEOUS place - I would love to visit someday!